~「TGIF!」Idol♥’s unzipped on way back Fridays (Volume 50) | モーニングBerryz48…the morning after….. "Always wear protection before reading…(^q^)." Today’s a very special~*~~* day!! Know what day it is today? If not, I’ll tell you very soon =D! Gravure idol, Actress, model, artist whom became hugely popular as far back as her early teens when she became the very definition and image of the U-15 idol world. My very first Miku~chan sighting came from her frequent appearances in idol magazines where she became a regular in the idol publication “Bomb” magazine amongst many others which I had subscribed to and she’s always had an aura of a natural and pure idol with looks as eye catching as any could possess. She left an adorable impression then and yet she was so young then that for me personally she had the makings of an up and comer whom I’d just assume I would see again much later when she’d established herself as a young adult talent. Miku~chan released a slew of shashinshuu too during her U-15 rule up till her then just 17th birthday also appearing in numerous t.v. dramas, CMs, idol image releases and movies with nothing less than the appearance of a child prodigy in the entertainment business whom would grow up before us step by step with the enlightenment of a career light years ahead of maturity and yet so established when so early in youth. I remember last seeing Miku~chan as an actress in the long running and popular drama series Kinpachi Sensei, and then in what seemed like a moments notice of just three years later she was all but gone from her career with a sudden retirement which was as unexpected as any could’ve been. Miku~chan would change her life goals then pursuing a career in music where she’d be most involved in the musical aspects. Thinking back it was just about a year and a half removed from her high school graduation when her announcement came and till this day at now just 25 years of age Miku~chan maintains a most private life far outside the spotlight and tabloids all despite her prominence just a few years prior. 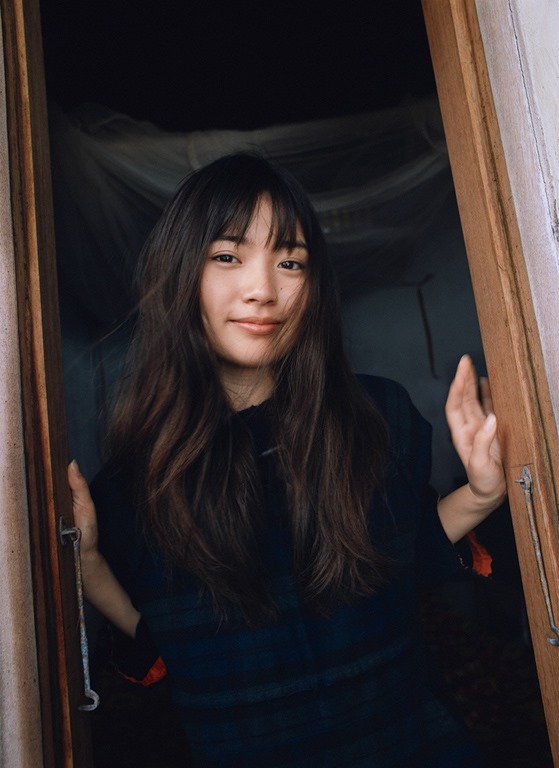 Miku~chan’s music career began with the release of her very first single titled “With…” on June 2nd, 2010 and continued into the summer of 2011 with her releases being under an indies label. She would also continue with live performances into the winter of 2011. And what of today’s most special date? Gallery | This entry was posted in Gravure idols, Idols♥ unzipped, Japanese idols and tagged gravure idols, idols♥ unzipped, ishida miku, japanese idols. Bookmark the permalink.